Photo illustration by 401kcalculator.org via Flickr. On the next Addressing Alaskans, a very dense and well-informed discussion regarding the facts and trends for the high healthcare costs we have here in Alaska. This event features original findings from financial analyst Mark Foster, commentary on those findings from Assistant Professor of Economics Mouhcine Guettabi, followed by questions from the audience. 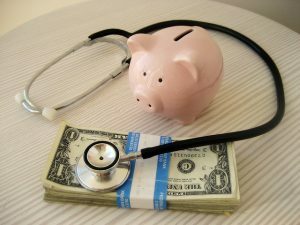 Bonus: Special tips on how you can hold down your doctor bills and hospital bills. Download this handout. RECORDED: Wednesday, November 15, 2017 at 49th State Brewing Company.